Healthcare promotion is critical in building human capabilities and realizing economic development. The United Nations emphasizes that poor health status can negatively affect a person’s ability to learn at school and the level of productivity. Life expectancy in Nigeria as at 2016 is currently at 54 years, placing the country on 177th position out of 183 countries. This showcases that Nigeria is currently having deep challenges in the health sector. The Nigerian healthcare has continuously faced challenges such as the shortage of doctors, as a result of brain drain. In addition, Nigerians are also amongst the most traveled in the world for medical tourism because of lack of extensive medical equipment, and lack of medical practitioners for grave health issues. 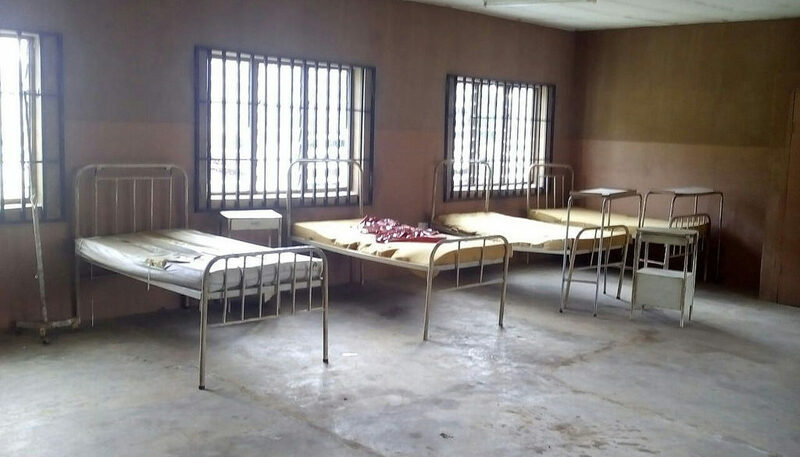 The set of Nigerians mostly affected by the poor healthcare provision in the country are rural community members whose only option is the dilapidated Primary Healthcare Centres (PHC) across the country. In our experience in assessing capital funds implementation in PHCs in rural communities, we observed that most of them lack water supply, electricity, security, functioning toilets, functioning wards, shortage of drugs & human resource, as well as non-availability of medical doctors. Statistics such as this explains why under 5 mortality rate in Nigeria is at 90/1,000 births as at 2013. And why according to the United Nations Children Emergency Fund, every single day, Nigeria loses approximately 145 women of child bearing age and 2,300 under-five year old. This makes the country the second largest contributor to the maternal mortality and under–five rate in the world. Similarly, malnutrition has been considered at the underlying cause of mortality of a large proportion of children under-5 in the country. At the same time, a woman’s chance of dying from pregnancy and childbirth in Nigeria is 1 in 13 from predominantly preventable causes. Following this cheerless trend and as a counter measure, the World Bank alongside the Federal Government of Nigeria initiated the Saving One Million Lives Initiative Program-for-Results (PforR) Project for Nigeria. The project is for improvements in reproductive, child health, and nutrition outcome, through the provision of vaccines for children, training of skilled birth attendants etc. Through the project, in 2016, the World Bank announced the provision of USD$55.5 million (NGN 17.4 billion) to the Federal Government. The Federal Government would then distribute the fund at USD$1.5 million (NGN 471 million) to each of the states and the Federal Capital Territory (FCT). On receiving this news, the Follow The Money Team of CODE immediately started tracking the employment of the fund across PHCs in Akwa Ibom, Enugu, Kano, Kogi, Osun and Yobe States. We wrote to the concerned governmental agencies and persons (Governors and Commissioners of Health) in these states for their costed work plan for the fund’s implementation, whose provision was a proviso to be eligible for the fund. We observed several ambiguities, kerfuffle, secrecy and anomalous reports on the receipt of the funds, with many of the states saying that they haven’t gotten the fund. States such as all the aforementioned except Yobe also could not provide us with their costed work plan for efficient tracking of the fund. Just 3 days ago, while the President went to Kuchingoro, Abuja to commission a PHC, he announced that the USD$1.5 million has been released to all the states and the FCT. We receive this with happiness as it has solved the information crisis over the fund release and would reinforce our campaign for the states to give us the costed work plan to ensure transparency and accountability in the usage of the fund. Following this development, we call on the governors and concerned institutions of Akwa Ibom, Enugu, Kano, Kogi and Osun States to provide us with their costed work plan. We also call for transparency and accountability in the implementation of this fund.